We are a group of dedicated volunteers who help our communities prepare for, and get through emergencies. Our members come from all walks of life. We have lawyers, teachers, accountants, software developers, medical professionals, project managers, students from both the public and private sectors. We prepare for emergencies by training weekly at various locations around Wellington. We cover many facets of search and rescue, as well as casualty welfare, storm and flood response and community liaison. While our primary area of responsibility is Wellington City, we also have the capacity and capability to be deployed anywhere at any time. We are constantly looking for way to improve our capabilities to better support our communities. The 'Tawa Civil Defence Light Rescue Unit' was established in 1971 by a group of concerned local residents from the northern Wellington suburb of Tawa. 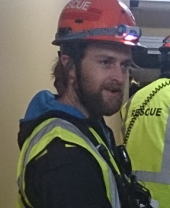 The main aim of this unit was to provide members of the local community with the skills to rescue those who become trapped in buildings (specifically timber framed residential buildings as common in the suburb) as a result of an earthquake. 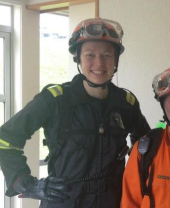 The unit became part of the network of Volunteer Civil Defence Rescue Teams throughout New Zealand and has been involved in their development both nationally and locally ever since. In December 1976 the unit was called out to assist in the Hutt Valley floods. In addition to the flooding deployment, an ongoing highlight in the team's history has been its continued involvement in regional and national exercises. 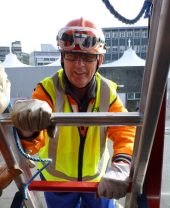 In 1988 the team came under the control of what is now the Wellington City Council Emergency Management Office (WEMO) and its role expanded to include the responsibilities of a Community Emergency Centre. When WEMO withdrew support for rescue teams in 1995, the team continued to operate as a community funded rescue squad. 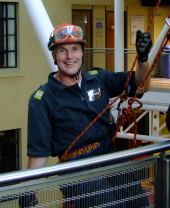 It was one of the very few local rescue teams to survive the nineties, a decade that saw the number of CDC and rescue volunteers in Wellington City drop from more than 3,000 to less than 200. 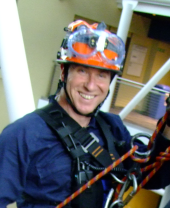 When WEMO reactivated local rescue teams in 2001 to provide Wellington City with additional rescue resources in the event of any major emergency, the team returned to the control of WEMO, becoming 'WCC Tawa Rescue' and began working towards registration as an Urban Search and Rescue (USAR) Response Team which was achieved in 2004. 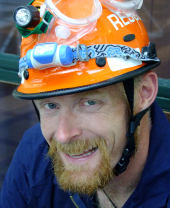 2009 saw a reinvigoration of WEMO's outlook on volunteers and the team expanded involvement with WEMO's goals of greater volunteer integration with Emergency Management and towards building a resilient city prepared for any disaster. Much of the team's training involves preparing for a catastrophic earthquake in Wellington. 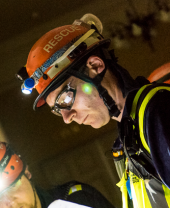 We drill regularly on search and rescue techniques in damaged buildings and rescuing casualties from difficult locations. We also train in dealing with mass casualty situations where the number of injured people is far greater than the team can handle. 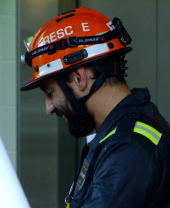 This allows us to hone our processes and techniques so that in a real emergency, we will have all the skills and experience required to save the maximum number of people in the shortest amount of time. The weather is changing, and so too is our focus as a team. In 2013 we were deployed to help Wellington get through the June storm. We are now doing more training focused on storm response, and increasing our capacity to support our city through adverse weather events. With the help of our fantastic sponsors we have more tree clearing kits, and are training more of the team in the use of chainsaws. We also train on securing damaged buildings, fences and anything else a storm might damage. Our team is ready to be deployed to vulnerable areas of the city to warn people in the event of a tsunami warning. We have done this several times, and while each time the tsunami threat did not eventuate, it's good to know that we are always ready to get the message out and warn residents whenever there is a threat from tsunami. The team is not just there for emergencies. We have designed and run regular skills courses for the general public on how to survive a disaster, and how to help your neighbours after a disaster. These have proved to be very popular with each course often booked out months in advance. For the team it is a great way for us to get to know people in our communities, and to pass on the skills and knowledge we have gained through our own training and deployments. 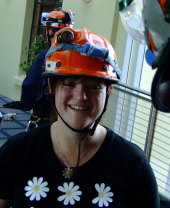 If you would like to know more about our training course check out this page on the WREMO website. The is no one-size-fit-all member in our team. 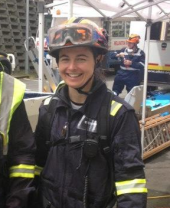 We all bring our own skill-sets and experience, and it's that diversity that makes the Wellington Emergency Response Team such an asset in an emergency. It also makes it a fun and interesting environment to be part of. Here are some pics of some of our members.